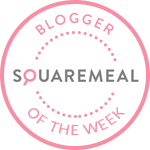 You are here: Blog / We Were Highly Commended at the UK Blog Awards 2016! We Were Highly Commended at the UK Blog Awards 2016! As the great and the good of the digital world arrived for the UK Blog Awards 2016 at the Park Plaza Westminster Bridge Hotel on Friday night, there was a palpable sense of excitement as those shortlisted for an award were hopeful to be walking off with the accolade of best blog in their respective industry. As entertainment providers, we had helped make the event as special as it was by providing a little fun in the form of stilt walkers and a caricaturist for guests to enjoy, before the night really got going with the announcement of the awards winners! Now, please do not cry for us event lovers, but we did not win. Alas, the mega huge company Eventbrite took the honours in the ‘events’ blog category, but we were more than happy with our runner up placing! Out of 2,000 entries, we had climbed to second place – with Events World – and have thus been awarded with a Highly Commended badge for our blog (see below). Some might say it's a bit big, but hey lt's shout it from the rooftops! It was a wonderful evening and we had a fabulous time. Congratulations to all winners across all categories and we can’t way to see you next year! Until that time, we’ll be harking on about our modest success across social media and hope you enjoy many more blogs across the world of corporate events, private parties and weddings.